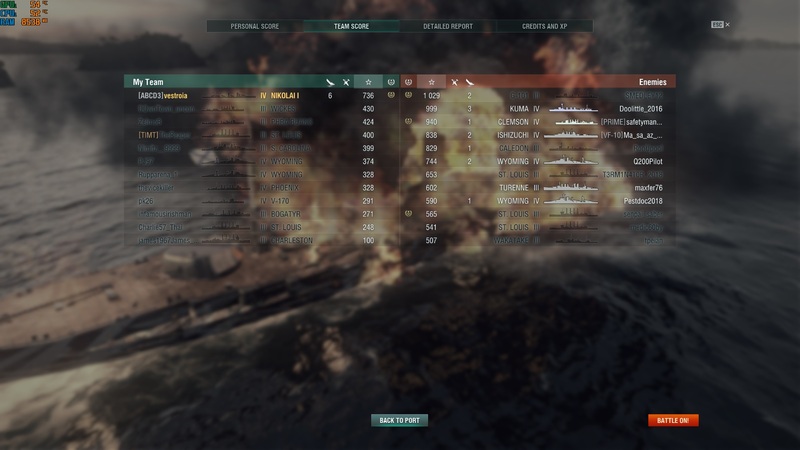 I NOW KNOW THE REASON WHY THIS SHIP WAS IMMEDIATELY REMOVED FROM THE STORE , the only way i died was for the enemy team to ram me and they did, none of them could pen me . lucky to be one of the few owners of this ship. Stronk ship Comrad. Stalinium rounds for everyone. !!!!! Lol. I've had a lot of fun in mine as well, although I don't take it out much, its sorta crazy for that tier. It is a giant slug though. A slug, as was said; but a slug with a shotgun if you’re patient and plan your movement and turret facing wisely. I played it before T4 was protected. It regularly saw T6, nothing like slugging it out with a T6 BB or knife-fighting a DD in it. very easy to penn if you can get its sides, only strong from the front. This boat is fun to play. With the cv rework im looking forward to the animation of a captain firing his pistol as the AA for this boat. It will take those tier IV CVs about a week to grind down without torpedoes. You HAVE to play it with the Rasputin camo. The ultimate in intimidation. I remember in around early 2016, I was playing New Mexico. This was the old MM and Tier IV wasn't protected. I encountered a Tier IV Imp.Nikolai and it hammered the living hell out of my Tier VI NM. 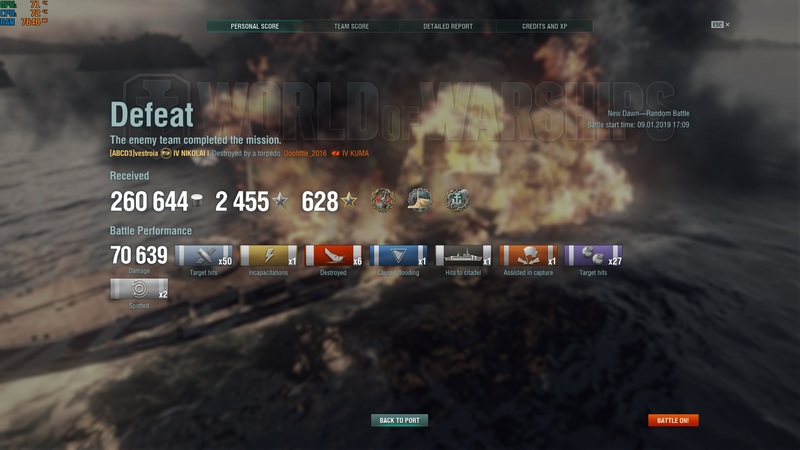 It was angled and I couldn't Overmatch with my 356mm guns. So AP against the hull just bounced. The Imp.Nik player wasn't stupid and wouldn't give me a broadside. There is little to no Superstructure to speak of. A trick I do with BBs is aim at the base of the superstructure against an angled BB, but that doesn't work against Imp.Nik. I was forced to fire HE and settle for lower damage output against it, relying on fires. In return, Imp.Nik. remained angled and AP'd the living hell out of my New Mexico with accurate, powerful gunfire. I lost this fight. That is true with every Battleship, even GK. But you put a smart player in Imp.Nikolai that applies "Fundamentals of Battleship Survival 101" combined with her accurate gunfire and no superstructure to aim for, she's an overpowering opponent for other BBs she encounters now, especially since she no longer has the prospect of facing Warspites and such. The changes to give Tier IV MM protection was a massive buff to Imperator Nikolai that as a Tier IV BB, already could spank the sh*t out of many Tier VI Battleships, much less the many POS Tier IV BBs like Wyoming, Myogi, etc. that can't hit an island that they're parked next to. All while they will easily be hit and penned by Imperator Nikolai. I've been having a lot of fun with her. I'm 13 and 3, and 2 krakens out of 16 total fights. 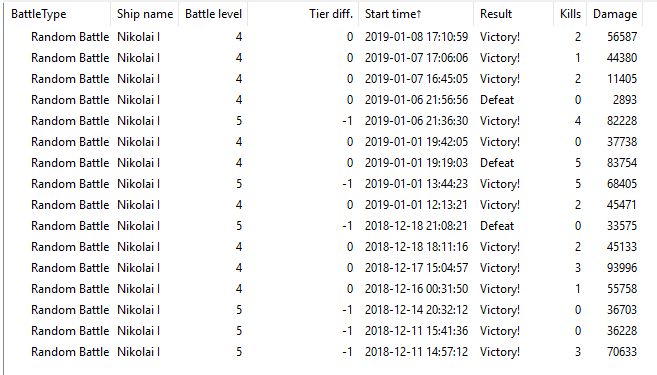 Dude once you get over a 100 games in her, the MM is ruthless, constant 2 enemy CVs matches 4 of every 5 games, initial map positioning is also much to be desired, they make stronk ship and then MM nerfs you. I picked it up in a Christmas crate this year. I played a few a games but have limited play time and have been playing a lot of ranked blitz recently. Still an awesome ship. I honestly believe that - for tier - Giulio Cesare is the more powerful battleship. Now, granted, Giulio has to fight tier 7s. But the combination of high pen, accuracy, stupidly good agility, and - above all else - cruiser-like stealth really make her a contender for best ship in the game. I feel a bit like Nikolai's weaknesses show any time she has to face a carrier... or newer tier 5 BBs. I don't fear facing the Nikolai...my Orion burns her down and then citadels her when she shows broadside out of frustration.